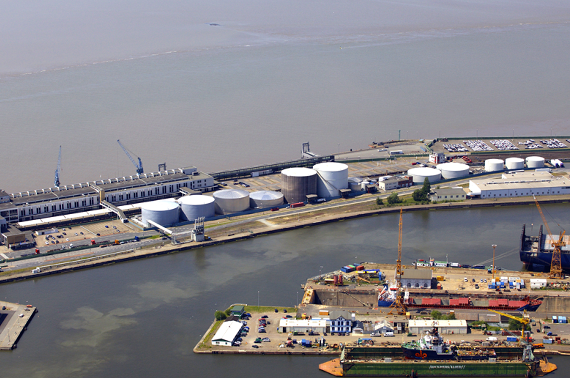 Bremerhaven Tank Farm is located close to the Columbus Cruise Center in the Bremerhaven Free Port. 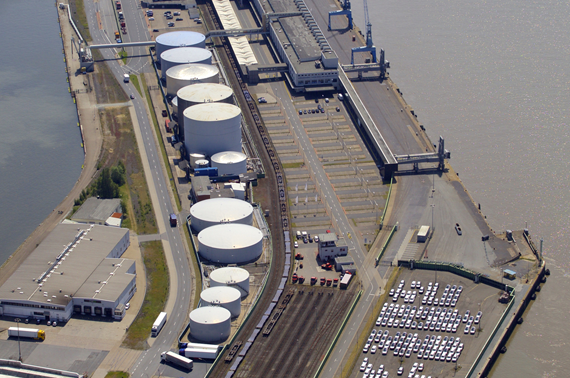 The tank farm provides transhipment facilities for seagoing vessels and barges, as well as road tankers. The tank farm has easy road access via the B212 trunk road. Turn right (from the east) or go straight ahead (from the south) into Barkhausenstrasse, following left into Schleusenstrasse and right into Lohmannstrasse, which will eventually become Steubenstrasse.